This one’s for the boys - because it’s their day too! There are so many options to consider for suits - blue or black, patterned or textured, simple or separates. There’s no right answer here! Go with your gut, and consider how the suits will tie into the choice of bridesmaids’ dresses. It’s also worth paying attention to the details, as these are what make or break the suit - so we’ve popped down a few things to consider when it comes to choosing your outfit for the day. We’ve broken some classic wedding looks down, to get you thinking about which direction to take. For the more formal option, you can’t go wrong with a classic, well-tailored black suit. There’s a reason that this look has lasted through the decades - it’s timeless and elegant, and an added bonus - it ties in with almost any colour scheme. This look is paired perfectly with a statement watch, and keep it classy with well-chosen cufflinks. The blue suit has never been more popular - a more casual, but still super-classy option, this suit is perfect paired with a crisp white shirt and brown shoes. 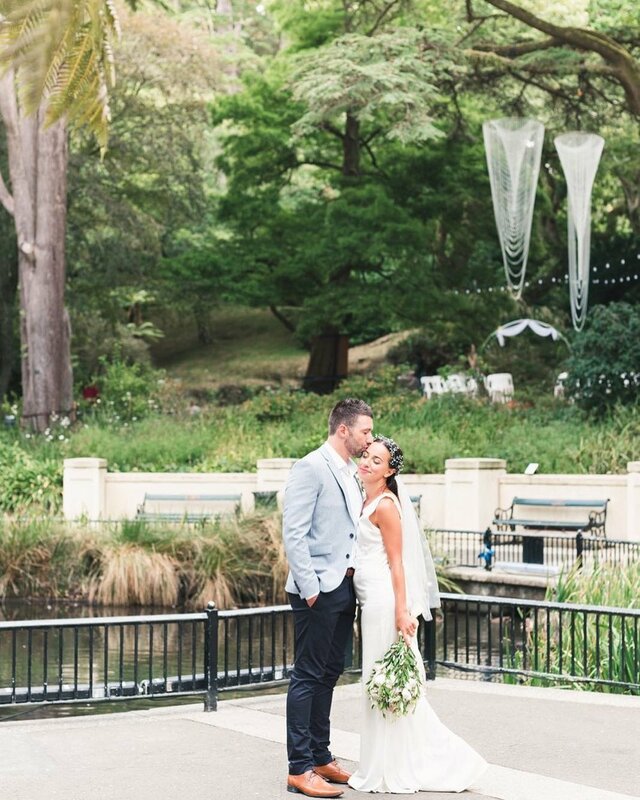 It makes for the perfect option for almost any setting, whether you’re going for an indoor wedding out of the elements, or making the most of New Zealand’s rugged landscapes. You could even opt for more grey tones. Why not consider opting for a bowtie? These are back in all shapes and forms, and you can even opt for some quirky materials like wood, or add a pop of interest with some interesting patterns! This can be as dressy or as casual as you like. Opting for separates can create a more boho, casual look - this is a great way to dress for New Zealand’s unpredictable summer weather, keep it cool, and add a bit of your own character to your outfit. Think about textures when creating your ensemble - and maybe consider adding a pocket square for a bit of extra class? Tailoring: Nothing says class like a well-tailored suit. If you’re buying a suit off the rack, it’s worth getting it professionally tailored. 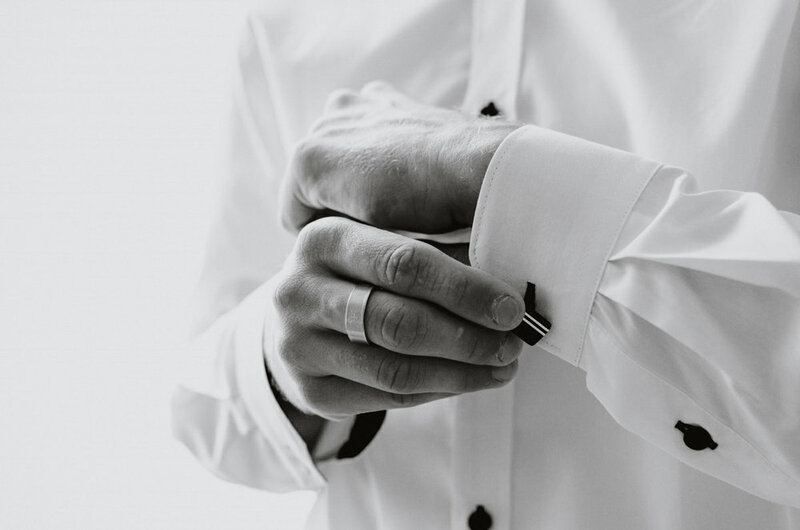 The perfect fit can make all the difference - especially if you and your groomsmen are of all different shapes and sizes. Ties: If you’re opting for a classic tie, we would highly recommend a wee bit of practice at perfecting the knot before the day (nothing worse than breaking into a panicked sweat as the photographer snaps away a few hundred photos of your attempts to tie a tie!). Ties aren’t as common in the workplace as they once were, and in general, most guys are a bit out of practice at the full-Windsor knot (and the classic schoolboy tie isn’t quite classy enough for the top of the aisle). Check out this easy YouTube tutorial, tried and tested by many a groomsman. Pocket squares: Have a look at some different options for pocket squares. This can be a great way to add a bit of texture or pattern into your look - and there are plenty of options for folding them, so get in some origami practice! Hair: You'll likely be outside for much of the day, exposed to the elements, and you'll want to look your best in the photos, so consider chucking a bit of hair product in for the day. Cufflinks: These are a fun way to add a bit of personality to your suit. Consider getting a set to match your groomsmen, or personalise it with your own quirky pieces for each of you. At the end of the day, there are so many possibilities when it comes to suits - the best way to keep a cohesive look is to make decisions for bridesmaids' dresses and suits together, consider the likely weather and locations, and the overall colour scheme for your day. Have fun with it, add a bit of your personality to the outfit choices, and make sure you're looking both stylish and comfortable.